Women continue to serve as pioneers in sustainability, leading the way through advocacy and implementation. 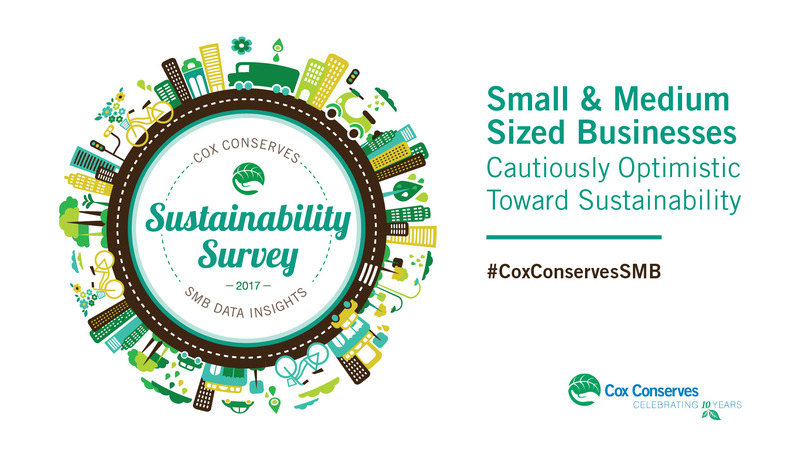 The Cox Conserves Sustainability Survey (CCSS), which focused on small and medium-sized business owners (SMBs), found that 42 percent of female-run SMBs are committed to increasing sustainable business practices versus 35 percent of male-run SMBs. Women recognize sustainability as an important part of running a business. 77 percent of female SMB leaders think the U.S. should participate in the Paris Climate Agreement versus 61 percent of male leaders. 40 percent of female SMB leaders are satisfied with their current level of sustainable business activities versus 32 percent of males leaders. 81 percent of female SMB leaders believe in global warming versus 66 percent of male leaders. The CCSS also found that more than half of female SMB leaders feel worse about sustainability in the United States since January 2017. That said, the findings paint a clear picture that female SMB leaders are committed to making a true impact in sustainability within their respective organizations. Read more highlights from the Cox Conserves Sustainability Survey.